Last week he came with another accusation on President Trump! And everybody in the MSM praised him for his action but when our President responded every major media outlet decide to attack President Trump about racism! Today I found another story that proves that LeBron James is nothing but a scam! “You wouldn’t know from all the national coverage that LeBron James isn’t paying for everything at his new I Promise School in Akron,” Patrick O’Donnell of The Plain Dealer reported over the weekend. He’s paying for part of it. That’s because it’s not a private school; it’s a public one whose “construction” LeBron helped fund via his LeBron James Family Foundation, which acquired the money by soliciting donations from donors such as Harvey Weinstein. Also keep in mind that every buck the foundation has spent on the school is tax deductible. The foundation will specifically be paying for less than 25 percent of the school’s operating costs, according to Cleveland-based newspaper, which estimated that “the district will pay more than half the costs — perhaps around 75 percent – once [the school] is fully running. The Plain Dealer reported that LeBron’s foundation intends to spend “$2 million or more a year when the school has grown to capacity,” though it cautioned “[t]he exact amount is still to be determined,” meaning it could conceivably wind up spending less, or more. And then there’s this: The free tuition/scholarship to the University of Akron that LeBron guaranteed to students who graduate from the school will in fact reportedly be funded by the university, not him or his foundation. Yes, King James opened ‘his’ school. Let’s be honest how much King did! And how much taxpayers did. 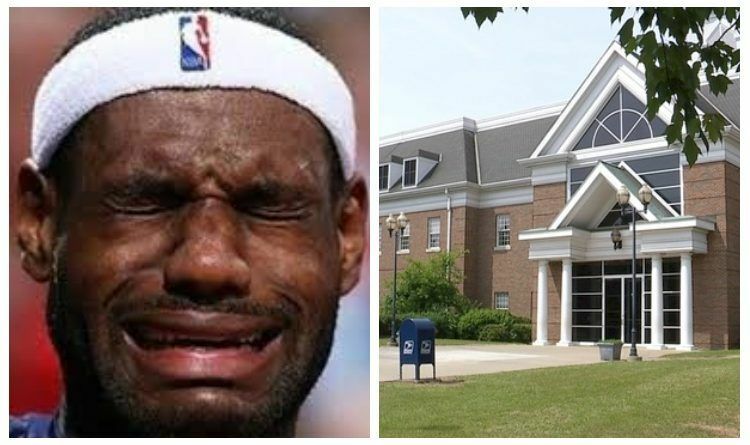 You know that “LeBron James built a school for struggling kids!” story? It’s #FakeNews. The Akron taxpayers are building, maintaining, running, and funding that school. Let’s share this news and expose LeBron James scam!